إذا كنت تبحث عن فندق بموقع جيد في خليج بريون، فقد وجدت ضالتك في Tallow Beach Motel . يمكن من هنا للضيوف الاستمتاع بسهولة الوصول إلى كل ما تقدمه هذه المدينة النابضة بالحياة. يوفر الفندق بفضل موقعة الجيد وصولاً سهلاً إلى أهم معالم المدينة.
. استمتع بالخدمات الراقية والضيافة التي لا مثيل لها بهذا الفندق في خليج بريون. إن صف السيارات هي جزء فقط من الخدمات التي تميز Tallow Beach Motel عن باقي الفنادق في المدينة. تتضمن كل غرف النزلاء وسائل الراحة والتسلية المصممة خصيصاً لضمان الراحة القصوى للضيوف. صممت خدمات الاستجمام في الفندق والتي تتضمن حمام سباحة خارجي, حديقة لمساعدتك على الاسترخاء والراحة. إن Tallow Beach Motel هو مكان مثالي للمسافرين الذين يتطلعون إلى الراحة والاستجمام في خليج بريون. 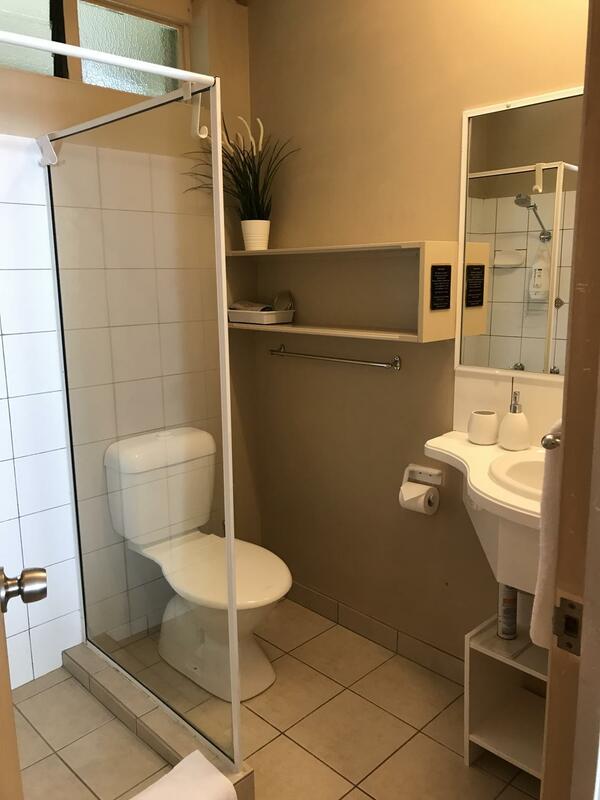 Great value for money motel in quiet residential location right next to Tallow Beach, great for having a relaxing time from the hustle & bustle. I stayed here after a meditation retreat and it was a relaxing transition before getting back to the city. Beach is right in front and nice to swim or jog. Coffees and restaurants within 5-10min walk. We so very greatly enjoyed our stay. The rooms are clean and decorated so cute. The amazing Tallow beach is right across the road and the neighborhood is quiet. If, however, you crave nightlife, Byron Bay is just 5 minutes up the road. Highly recommend Tallow Beach Motel for a restful beach vacation. No worries. Cosy, clean and great location. Tallow Beach Motel was cosy, comfortable, and clean. It is literally across the road from Tallow Beach, and the shops were only 5 minutes walk away. We really enjoyed our stay! stayed for a long weekend in Byron in a solo capacity. nice place, basic but well looked after quiet amongst lush gardens and clean. comfy bed. over the road from the beach is great for a walk, dip or surf ( not patrolled). no food or dining at the motel but amazing Suffolk Park Bakery is 7-8min walk. great food and fabulous coffee. Bus service to town goes past front door which is helpful. Pleasant stay. Nice Balinese decorations in rooms and throughout motel. Listening to waves crash while waking up is awesome! Steps from Tallow Beach. Nice staff people as well. We were greeted by the manager & shown our room. Our stay was very pleasant. The suite we stayed in has a homely atmosphere and felt like a home away from home. The facilities were great. The kitchen was fabulous even though we did not do much cooking. The utensils supplied were great. The manager looked after us very well throughout our stay. Just loved this place, its all that I wanted Byron to be. 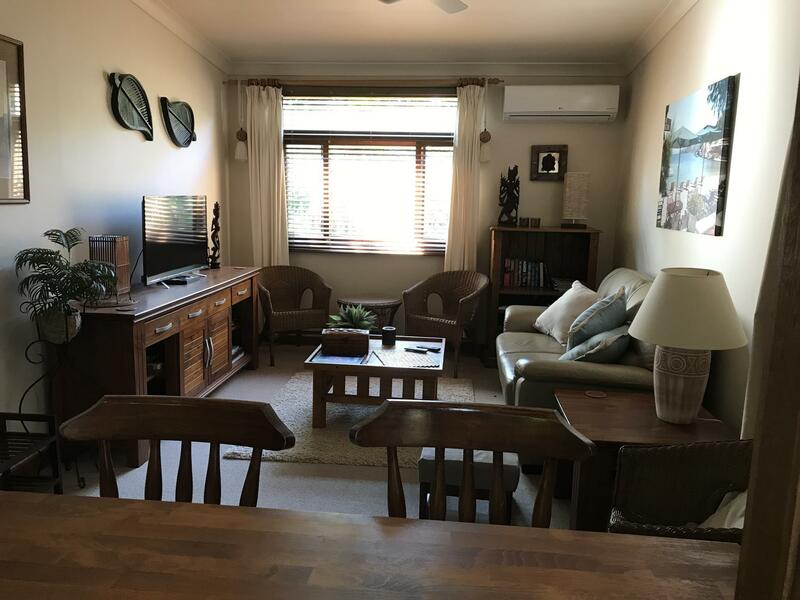 Quiet location away from the hustle and bustle , you need a car or a bike for the trip into central Byron, there is a group of shops and 4 eateries within walking distance. The beach is across the road. Is basic very comfortable private and cosy accom with a relaxed friendly feel. Very pleasant stay -, it was very comfortable and I would return. Proximity to the beach. Quiet. Good sized rooms. our stay was very pleasant. 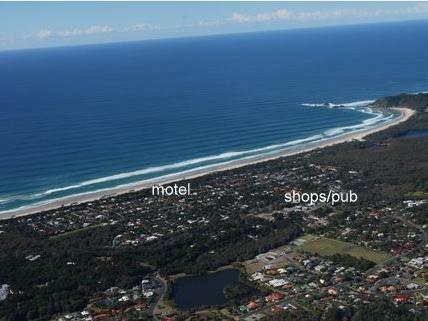 It is only a short drive to the main shops and restaurants of Byron Bay. Tallow beach is a very pleasant spot with a large section part of a national park. Tallow beach can largely be described as natural and unspoilt. There are also some local shops for those without access to transport including a pub, small supermarket and eateries. Tallows Beach Motel was fabulous, prime spot for surf beach, Suffolk Park and Byron Bay. The reception staff was very kind and is willing to change few things to accommodate your needs. We were able to check out four hours after we were actually meant to with no extra fee. Rooms are very big and very clean. 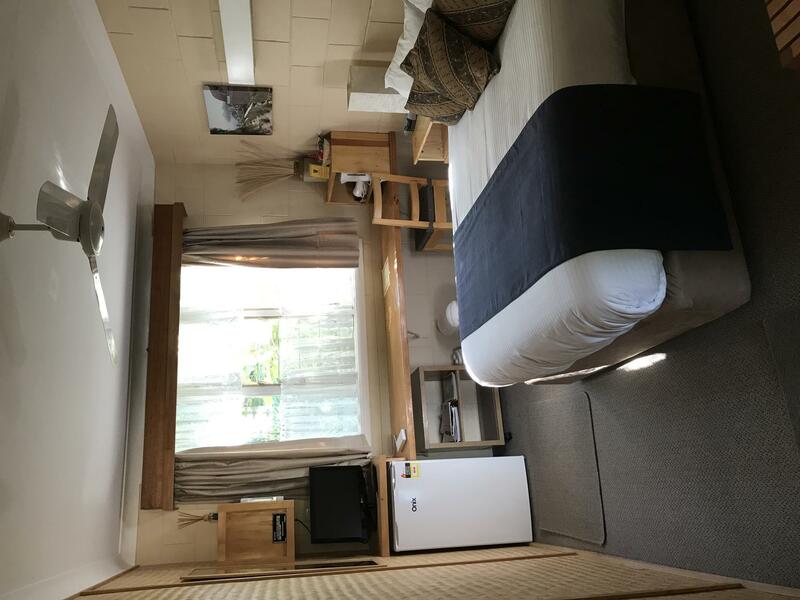 A few meters away from Tallow Beach, set in a peaceful and quiet area, this Motel is a real delight... No view from the windows but rooms are clean, spacious, decorated with taste and fully equipped (with a pleasant eco friendly touch). A peaceful and pleasant choice that might very well convince you to stay longer than what you had initially planned. A little out of town but super clean and excellent facilities. Ten minute walk to shops and superb bakery that serves awesome coffee. Ultra friendly owners who gave us a lift into Byron on our first night. All round nice place and just over the road from the beach. loved my stay at tallow beach motel! sue was a very hospitable and friendly manager. there was a breakfast awaiting me as compensation for the missing pick up from the bus station. which was all in all not sue's fault as the bus was running late. i can without hesitation fully recommend the tallow beach motel. Very relaxing stay and, while compact room, felt very roomy.